One of the benefits of working with indie beauty brands is we have the opportunity to develop relationships with the brands’ founders. We recently had the opportunity to sit down with Stephanie Duttenhaver and Cindy Edwards, the founders of Savannah, Georgia based Sapelo Skin Care. Sapelo Skin Care is the wonder anti-aging line that you may not have heard of yet, but you will! We instantly fell in love with Sapelo’s spa grade, deliver on its promise, formulas and unique Southern heritage. It started with two Southern women who developed the skin care products they sought for themselves but could not find in the marketplace. They drew inspiration from the Southern marshes, tides, marine and plant botanicals as well as the legacy of beautiful Southern women. This isn’t just a genius piece of marketing, though. 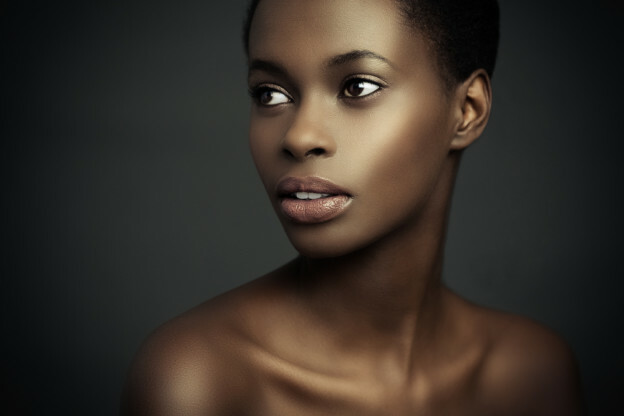 All Sapelo Skin Care products are developed and manufactured at a high quality cosmetic laboratory in Savannah, GA. The impeccable packaging is evocative of a lush Southern garden — these products would make a stunning addition to any vanity or shelf. Most importantly, however, these products WORK. Sapelo Skin Care merges state-of-the-art scientific breakthroughs with long passed-down knowledge of indigenous plants to understand the biological mechanisms of healthy skin rejuvenation. This is a 3-step, 28-day recovery system that gently hydrates, nourishes and improves skin quality at the cellular level. You met each other in 2009 while serving as board members of the Savannah Book Festival. How did this meeting lead to the creation of Sapelo Skin Care? SD: I had been thinking about developing a skin care line for years. Many of the anti-aging products on the market have harsh ingredients that actually strip aging skin of what it needs to protect itself. I wanted to create an effective line sans these harsh elements. Having worked with Cindy for three years to build brand awareness for the nationally acclaimed Savannah Book Festival, I realized that I had found my partner. We shook hands sitting in front of the great Pat Conroy and began our own story: Enter Sapelo Skin Care. CE: I had spent the past two decades as a stay-at-home mom and though I had been active on charitable community boards, my true desire was to resurrect my career. After a twenty year absence from the workforce, finding employment proved to be challenging. In 2009 I joined the board of the Savannah Book Festival and met Stephanie Duttenhaver. We hit it off right away. 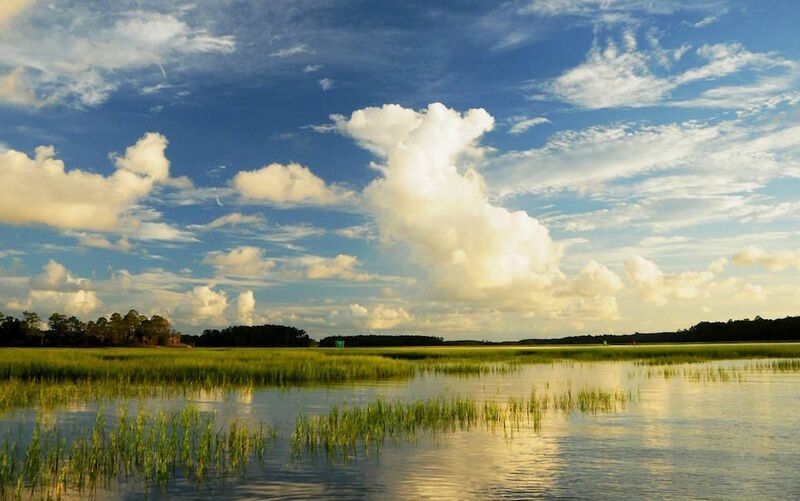 Living in coastal Savannah, we drew inspiration for our products from the twice-daily high tides that bring life-sustaining nutrients and water to our environment. Our complete and simple 3-step regimen mimics the rejuvenating effects of the tides with hydration, stimulation and revitalization of the skin. This regimen contains all the ingredients and molecular compounds needed to hydrate skin and renew collagen, elastin and skin cells. Our Renewing Serum creates a flood tide or open channel, deep within the basement layer of the skin. 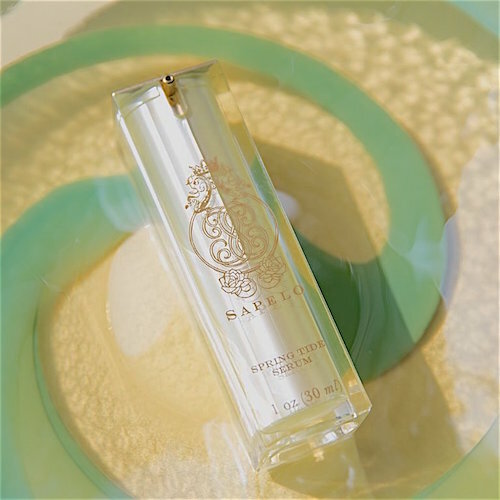 The serum is infused with gardenia stem cells and hyaluronic acid, the goddess of all humectants. The water-based ‘flood tide’ prepares the skin to inhale our star product, the Rejuvenating Cream. The Rejuvenating Cream unleashes peptides, humectants and micronutrients on the ‘flood tide’. Infused with 5 peptides, the platinum peptide targets inflammation caused by UV damage while the other 4 peptides work to boost collagen, elastin and hyaluronic acid production at the cellular level. It is oil based to enable the ingredients in the cream to easily penetrate the dermis and effortlessly deliver all the goodness needed to build up collagen and elastin. The Softening Emollient is infused with essential oils that bar the evaporation of the dermal saturation of peptides, stem cells, hyaluronic acid and micronutrients that are in Steps 1 and 2. In other words, it seals all the good stuff in! The essential oils also add an extra boost of hydration to the skin – particularly useful in winter or for drier skin types – you will love how it moisturizes, especially the dry areas around your eyes and brow! Our emollient contains only natural and breathable oils and there are no silicones or ingredients that stop the skin from breathing. What about an eye cream? CE: You can use all three products around the eyes. 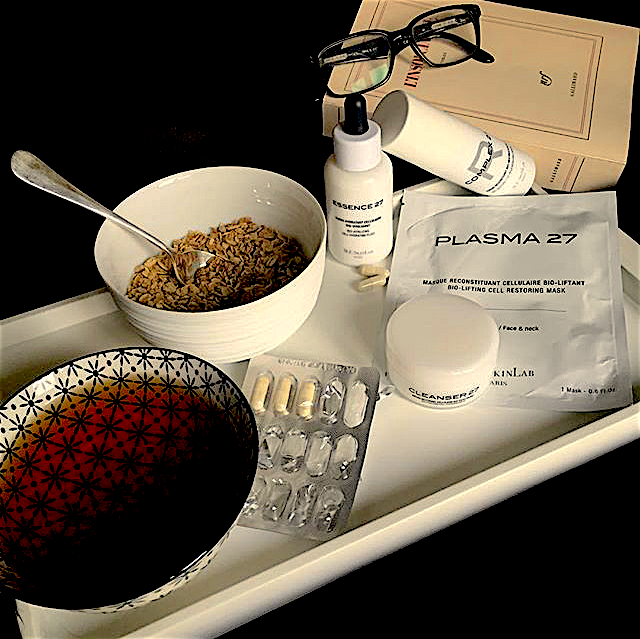 During development, our cosmetic chemist advised us that it would be all that we would need. There are no retinoids or harsh ingredients that can cause irritation to the sensitive eye area — which is the only reason to have a separate eye cream. That said, due to demand, we have since released our Restoring Eye Cream. Like the cornerstone products in our three step system, it contains a blend of powerful peptides, including anti-aging milk peptides that boost collagen production and skin cell count. It also contains antioxidants to increase circulation and strengthen capillaries in the tissue surrounding the eyes. I can’t stress enough how imperative it is to protect our skin from all the perils of winter. We’re not just talking the face – the lips and body take quite a beating during this season too. While everyone’s skin becomes more sensitive regardless of skin type, some people experience different degrees of dehydration and dryness, while others struggle with unexpected blemish breakouts. During the winter months we are contending with a multitude of factors that the skin quite literally has to weather. In addition to the cold, crisp air which dehydrates and strips the skin of the nutrients it needs to protect itself, we are constantly transitioning from the arid, manufactured heat of our homes and offices to the dry, frigid air of the great outdoors. This never-ending revolving door between 2 highly contrasting environments whips our skin into a tizzy. The skin becomes like a yo-yo not able to adapt quickly enough to its ever changing environment. It’s uncertain of what to do first to protect itself, so we need to do a little hand holding and take extra special care of our skin so that it can return the favor. Back to basics! Drink tons of water! It may be a bit counterintuitive but we need to drink as much water during the winter as we do all summer long. Our bodies are working overtime to keep us warm during the chilly winter months. This requires us to consume more calories and water. Since our skin comes into direct contact with the elements outside, it gets hit hard. If we don’t drink enough water, the skin is unable to carry out its cellular activities as efficiently. As a result the skin becomes dehydrated. So remember to drink. There is no one skincare regimen that fits all. That said, it’s important to step up your skin care game in the winter, but be gentle! No matter what your type, skin becomes more sensitive during the cold winter months and needs us to cut it a little slack. If you tend to experience bouts of seasonal breakouts during the winter, chances are, you are using too harsh a regimen for this time of year. In a time when even combination and oily prone skin requires more hydration, you may be exfoliating or using peeling treatments too frequently. This can actually strip skin of the nutrients it needs. Parched, the skin responds by going into overdrive and manufacturing excess oil. This surplus of oil rears its ugly head on the skin’s surface in the form blackheads, whiteheads and other varieties of blemishes. Ease up on these type of harsh treatments. Try exfoliating 1 x per week or give your face a couple weeks off. Make sure that the exfoliator you choose is gentle. I prefer all natural exfoliators like Yu-Be Foaming Skin Polish. It utilizes ingredients like rice brand and bamboo to exfoliate, extracts of ginger root and ginseng to balance the skin and green tea, geranium oil and camphor to soothe and refresh. (Can be used as a body scrub too!) I also eliminate glycolic acid peel treatments and products entirely during the winter. If this sounds too scary, try reducing the number of treatments you use. When overused these types of products produce the very blemishes we initially used them to heal. You may also want to try a moisturizer geared for more sensitive skin that is a bit richer than what you normally use. I can’t say enough good things about Sapelo Skin Care Rejuvenating Cream. It is an anti-aging wonder that is hyper nourishing, yet simultaneously guards against breakouts. It helps stimulate cell growth providing the building blocks to manufacture new collagen, elastin and keratin cells. Alternatively you can try adding 4-5 drops of face oil to your favorite moisturizer to give it a boost. Cosmetics 27 Huile 27 is an all natural elixir packed with nutrients that boosts the skin ability to repair, moisturize and protect itself. This French multitasker can be used on the lips, hair and cuticles as well. Even if your face doesn’t qualify as chapped, like mine does during the winter, you probably want to opt for a richer moisturizer, add a nourishing, water based serum and boost your moisturizer with 3 – 5 drops of face oil. This is by no means taking things too far. If you’re still feeling dry, you may want to try cleansing your face at night only. If you are washing off the remains of the day at night, a bit of warm water followed by a gentle toner is enough in the morning. For those of us with dry skin, even the gentlest cleansers can be extremely drying. While some of these practices may sound counterintuitive and perhaps even a little scary, dare yourself to conduct an experiment. Giving your skin a break may be just the thing it needs to rebalance itself and keep you looking healthy and beautiful all winter long.